The Urbana-Champaign Big Broadband (UC2B) is an intergovernmental consortium of the University of Illinois and the cities of Urbana and Champaign dedicated to building and operating an open-access fiber-optic broadband network throughout the Champaign-Urbana area. UC2B applied for and was awarded a NTIA grant of $22.5 Million. The State of Illinois provided a $3.5 Million grant and local matching funds added an additional $3.4 Million to fund the project. NEO’s Scope of Work: NEO provided business planning, pricing strategies, market and competitive analysis, financial projections, operating governances, community engagement services and operational consulting for this NTIA grant recipient. We developed the feasibility objectives; assisted UC2B in development of its guiding principles, mission and objectives. We wrote the Business Plan and developed the Financial Plan. NEO also provided bid and Request for Proposals, RFP response evaluations and vendor management services. NEO conducted a thorough market analysis and competitive assessment and developed pricing strategies, IRU and other service agreements and operating governances. NEO worked with UC2B’s Policy Board, both City Councils and oversaw community stakeholder engagement meetings. The Result: UC2B successfully implemented their grant and built out their network and are serving 4,600 residential customers with Fiber to the Home (FTTH) in very distressed neighborhoods throughout the Champaign and Urbana area and 230 anchor institutions. The anchor institutions are connected at Gigabit speeds to each other and to the Internet and include large municipal and University facilities to the local hospitals, community organizations, worship centers and non-profit organizations. 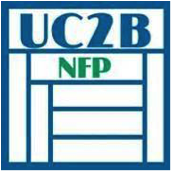 Through NEO’s facilitation, UC2B contracted with an outsourced customer service center that provides sales support, customer service, billing, collections and trouble resolution. NEO facilitated all of the foundational work for this customer including development of guiding principles, their mission and clarifying their goals and objectives. We recommended that a not-for-profit organization be established for UC2B to better compete in their marketplace and they have done that. NEO provided four business models as options for implementing and delivering services and expansion models. Pricing and positioning strategies have been put in place and are being offered for Internet services, IRUs and dark fiber leases. UC2B has entered into a public-private partnership with a local service provider, ITV-3 who is offering video/cable TV services to the community, using UC2B’s FTTH network.